Thanksgiving is probably one of the most awaited festivals in the United States. The best part about Thanksgiving would have to be spending ample time with your family and the customary Thanksgiving feast. If you are planning on having a small Thanksgiving themed dinner party, you will have to send out invitations. In order to design thanksgiving template invitations, you could always take the help of these amazing thanksgiving invitation templates on display here. 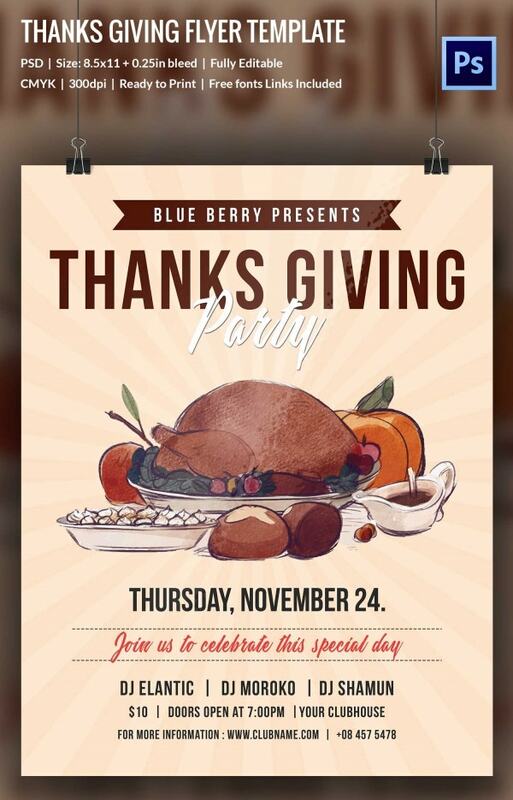 If you are having a thanksgiving party, then you could use this flyer template. It comes in a PSD format with bleed and a standard size. Also, the template is customizable as well. 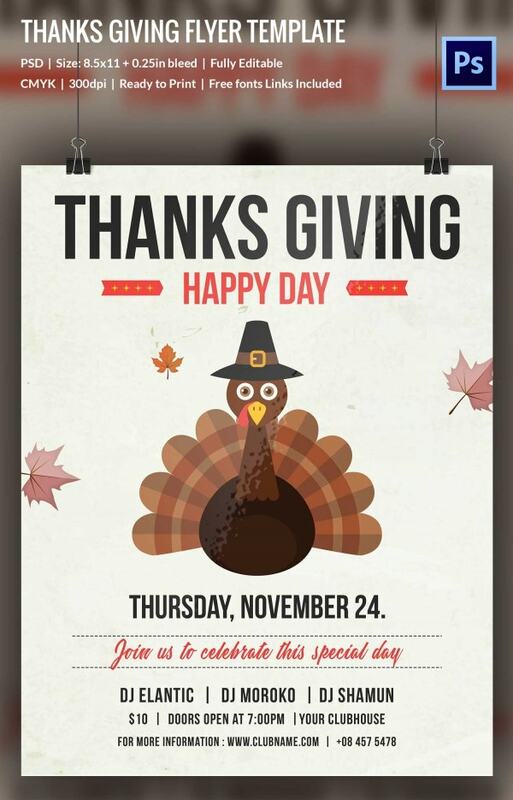 This thanksgiving flyer template comes with a cute and quirky image of the customary thanksgiving turkey. Also, it comes in a PSD format and with standard size. It is customizable as well. 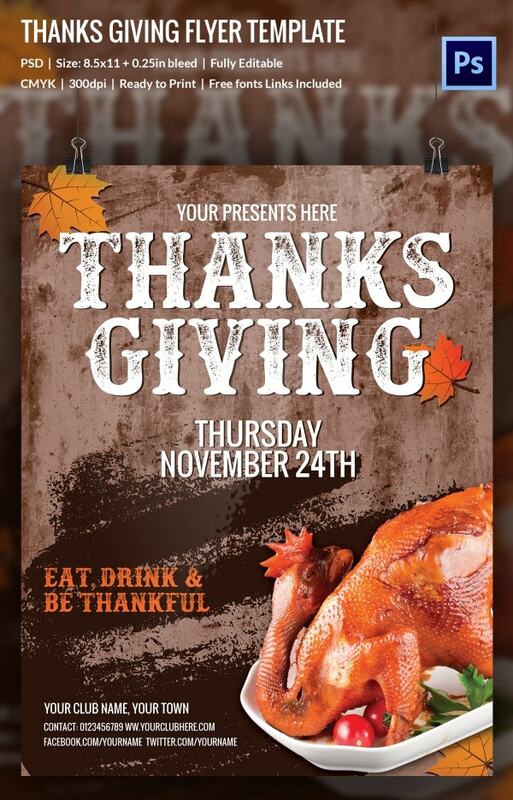 This thanksgiving flyer template is one of the supreme examples of such invitation templates. It comes with a black background and gold and white designs on it. Also, it comes in PSD format. 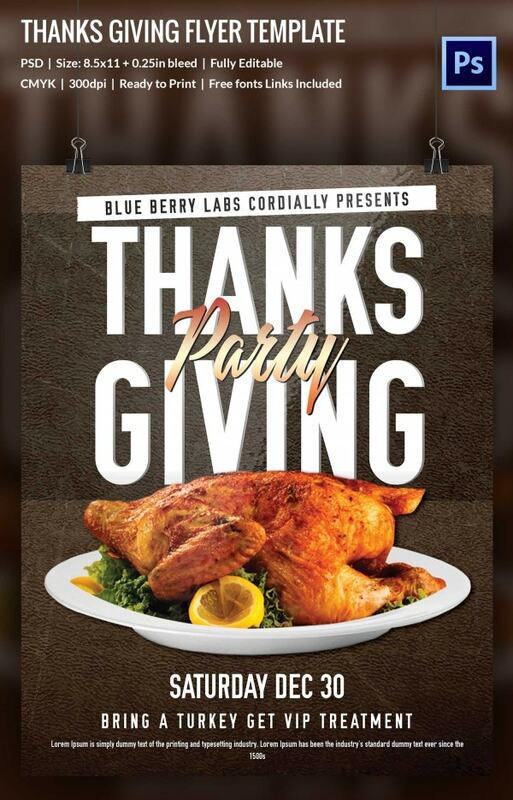 This thanks giving flyer template here comes in a PSD format that is ready for print. Also, you get CMYK color mode and a standard size with bleed. It comes with free fonts and easy customization options. 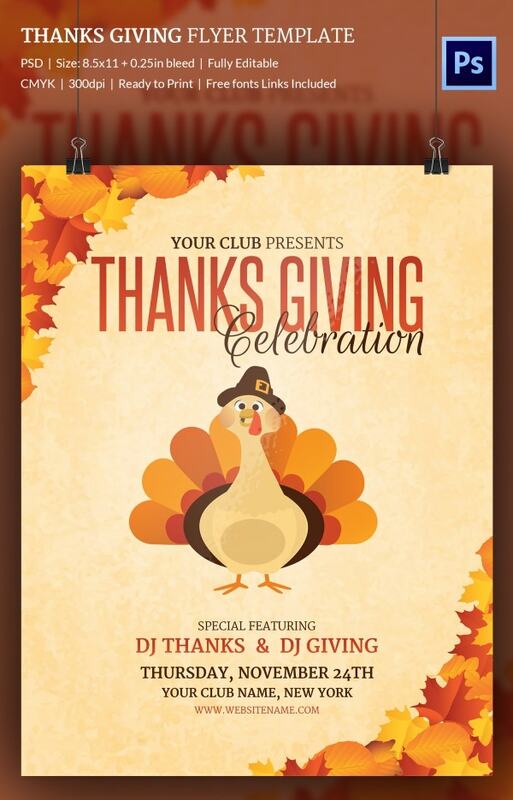 This thanksgiving flyer template here comes with rather attractive images that are part of the deal. Also, you would be able to use the free fonts here. Plus the templates here are fully customisable. 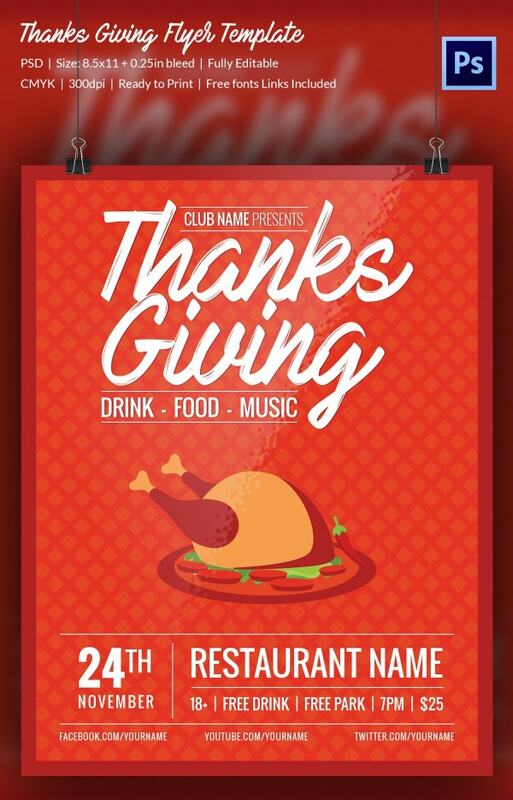 Why should you go for a Thanksgiving Flyer Template? Thanksgiving is one of the most joyous occasions and people wait around anxiously all year round for it. This is when you get together with your friends and family to express gratitude for all that you have. On such occasions, get togethers are a must. In that case, you must also send out invitations to your close friends and family. To do so, you can take a look at some of these invitation templates here. They are fully editable and allow you to design them as you please. Also, the templates here come in a standard size with allowance for bleed. You can also see Thanksgiving Menu Templates. Are you planning a large thanksgiving dinner at your place? Or do you need to send out invitations on a short notice? 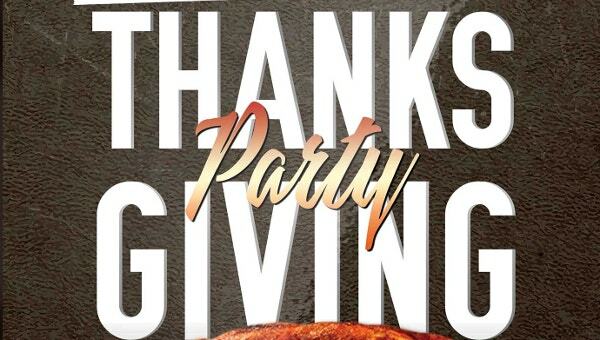 Then you can do so with the help of these amazing thanksgiving flyer invitation templates. They all come in PSD format with attractive fonts and beautiful graphics and are easy to use.